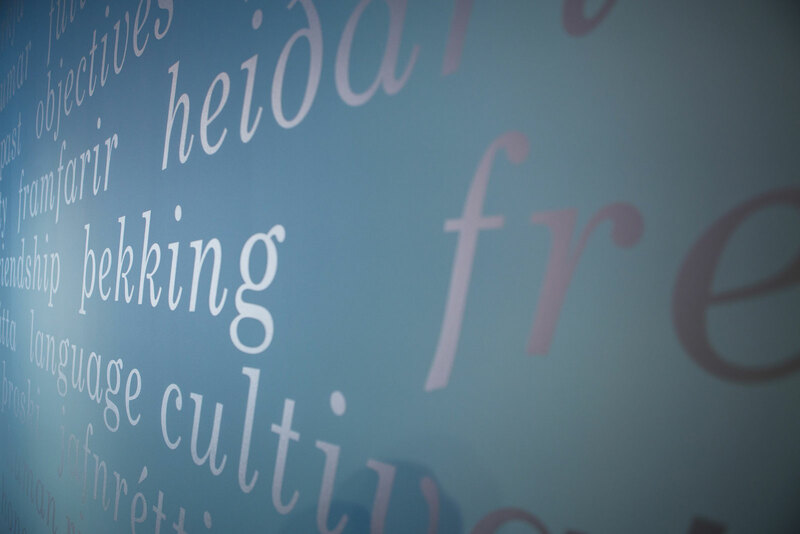 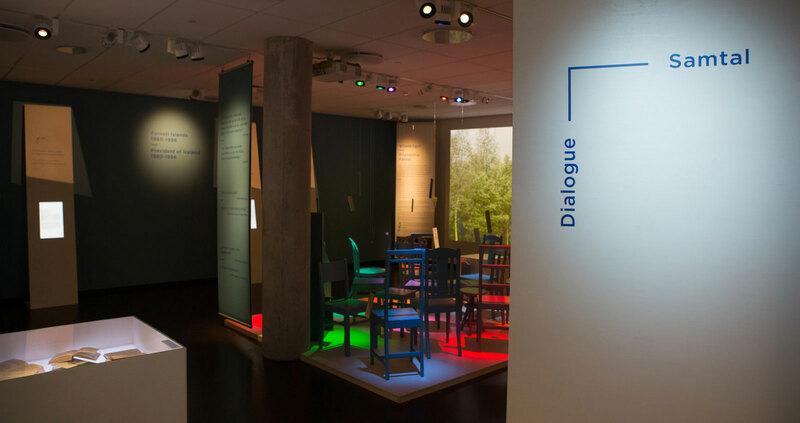 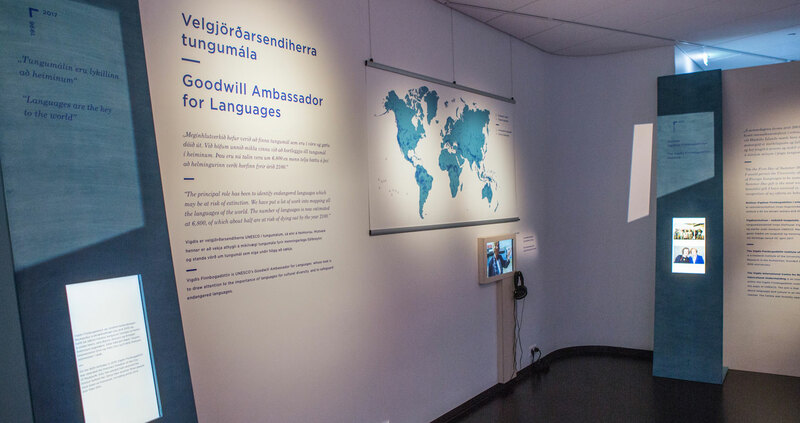 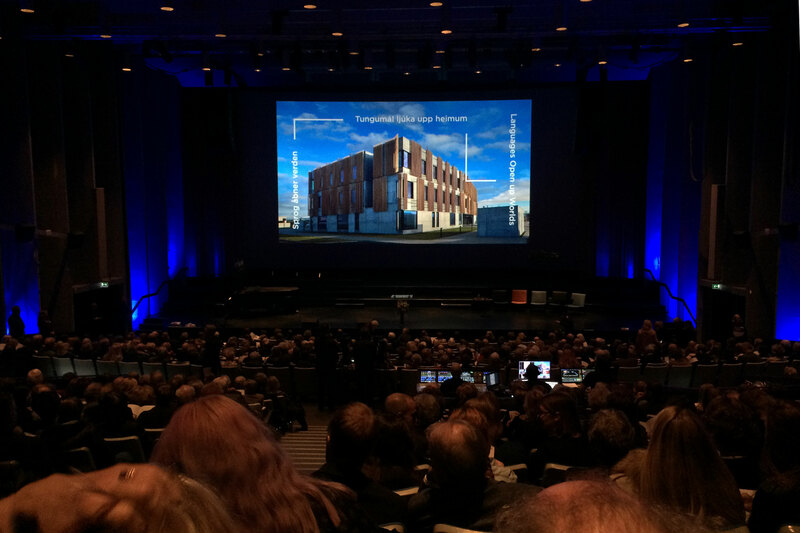 SAMTAL – DIALOGUE is the inaugural exhitibiton in the information and education centre of Veröld – Vigdís’ house wich opened on saturday 1 july 2017. 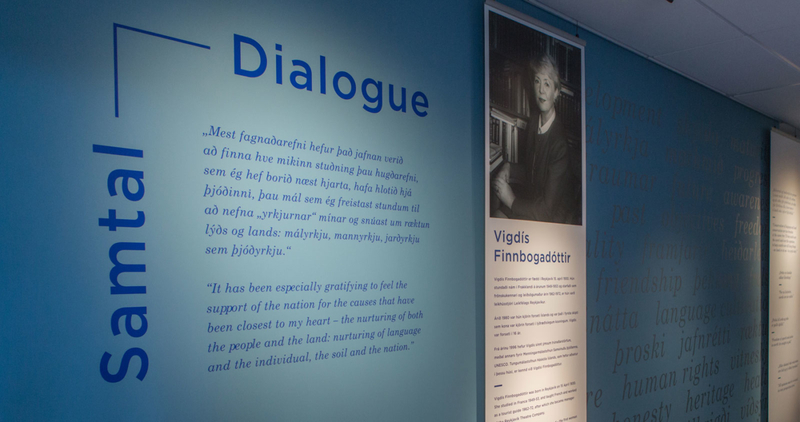 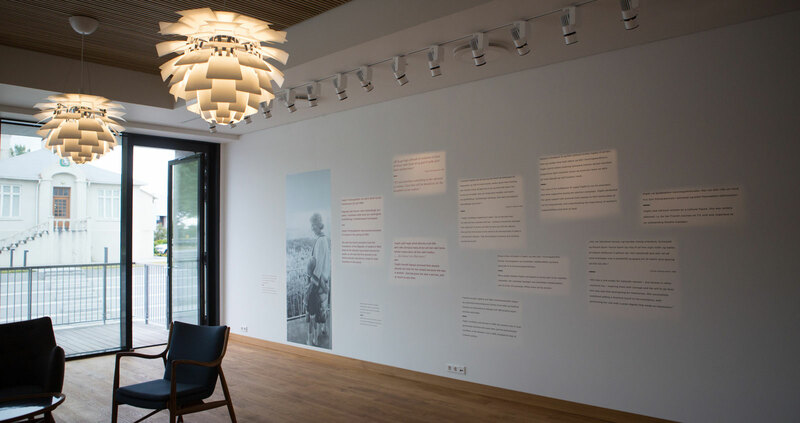 The exhibition explores the work and causes of Vigdís Finnbogadóttir, former president of Iceland. 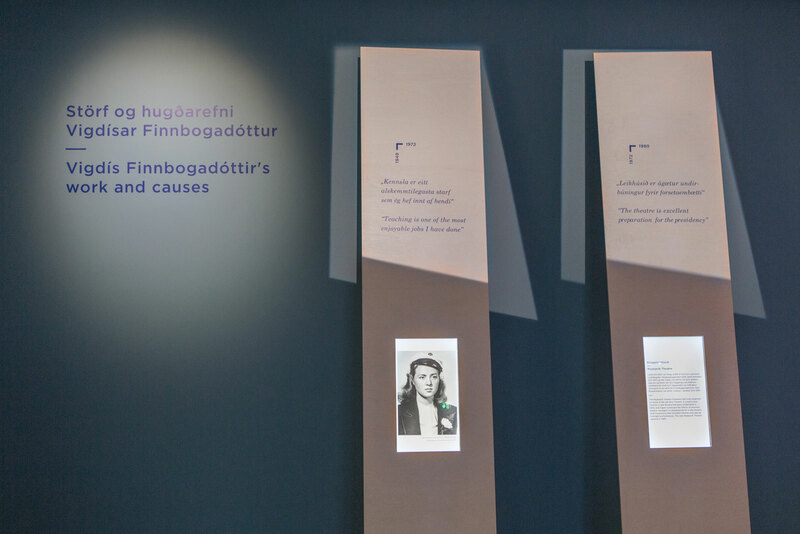 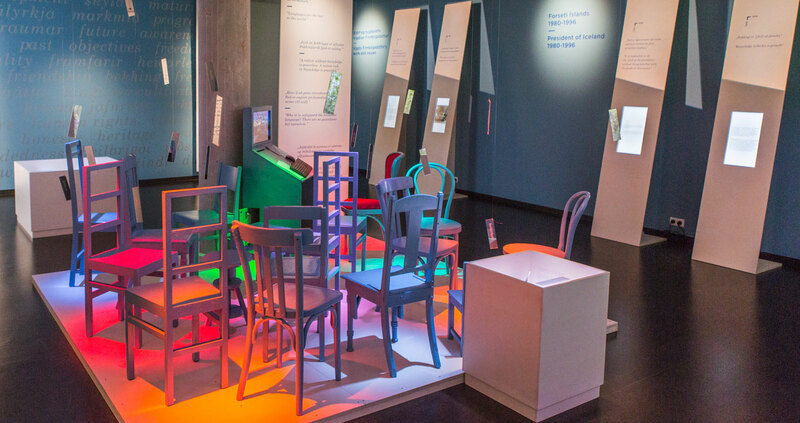 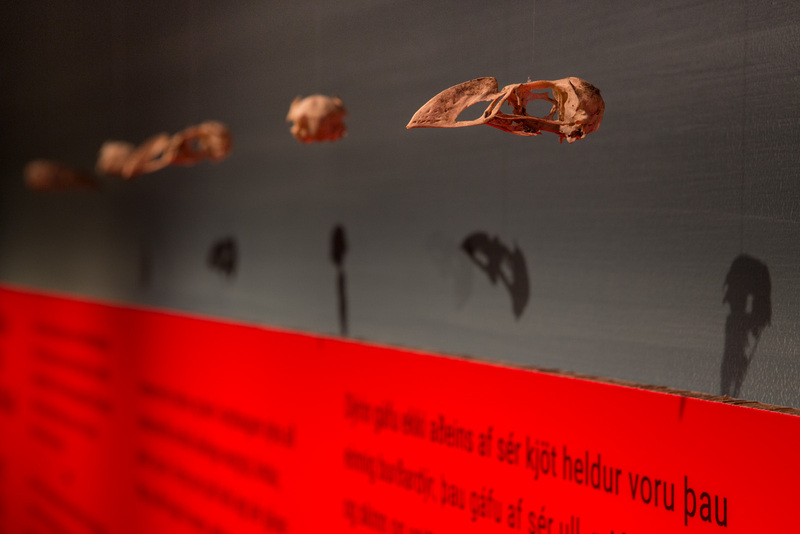 I was lucky to be invited to work on that exhibition as a graphic designer with a great team of people led by curator and designer Þórunn Sigríður Þorgrímsdóttir. 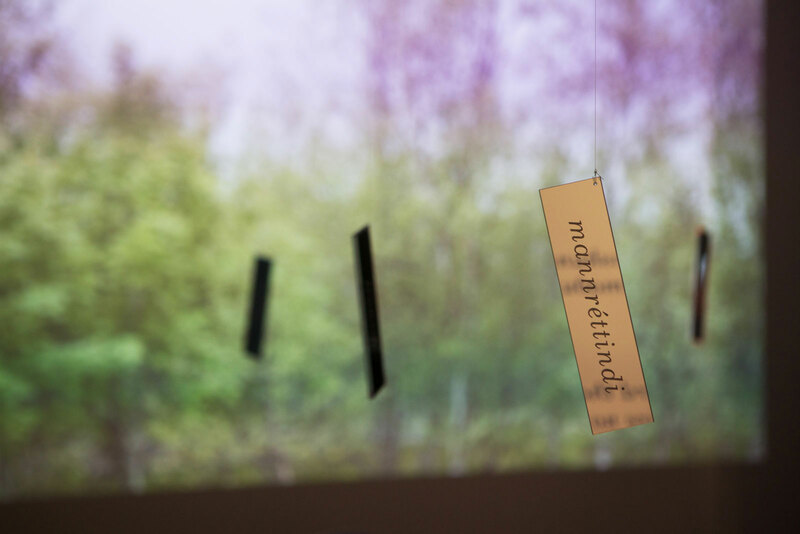 (See detailed creditlist below).